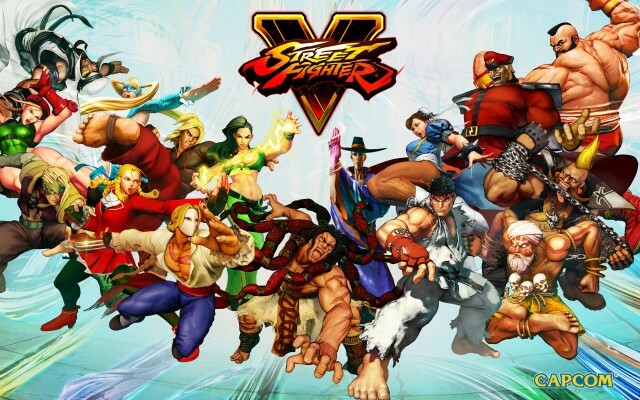 At the Street Fighter 5 launch on February 16th 2016, there will be 16 characters available total, the full 22 character selection will become available in the following months. But at launch 12 old characters and 4 new characters will be available right away in the roster; the 6 additional DLC characters you’ll have to unlock individually. Note: You can unlock 6 more DLC characters either by paying $30 for the Season Pass or get them all for free by earning 100,000 Fight Money in-game currency for each DLC character. Simply spend the 100,000 Fight Money to unlock each character when (s)he becomes available in the in-game store from March 2016 onwards. Each character’s release date is indicated in the character list below; followed by unlock tips. 1. Ryu — How To Unlock: Available at launch. 2. Chun-Li — How To Unlock: Available at launch. 3. Nash — How To Unlock: Available at launch. 4. M. Bison — How To Unlock: Available at launch. 5. Cammy — How To Unlock: Available at launch. 6. Birdie — How To Unlock: Available at launch. 7. Ken — How To Unlock: Available at launch. 8. Necalli (NEW!) — How To Unlock: Available at launch. 9. Vega — How To Unlock: Available at launch. 10. R. Mika — How To Unlock: Available at launch. 11. Rashid (NEW!) — How To Unlock: Available at launch. 12. Karin — How To Unlock: Available at launch. 13. Zangief — How To Unlock: Available at launch. 14. Laura (NEW!) — How To Unlock: Available at launch. 15. Dhalsim — How To Unlock: Available at launch. 16. F.A.N.G (NEW!) — How To Unlock: Available at launch. 17. Alex — How To Unlock: Becomes available to buy for free for 100,000 Fight Money* in March 2016; Or unlocks as paid DLC as part of the $30 Season Pass or $6 individually. 18. Guile — How To Unlock: Becomes available to buy for free for 100,000 Fight Money* in April 2016; Or unlocks as paid DLC as part of the $30 Season Pass or $6 individually. 19. Balrog — How To Unlock: Becomes available to buy for free for 100,000 Fight Money* in May 2016; Or unlocks as paid DLC as part of the $30 Season Pass or $6 individually. 20. Ibuki — How To Unlock: Becomes available to buy for free for 100,000 Fight Money* in July 2016; Or unlocks as paid DLC as part of the $30 Season Pass or $6 individually. 21. Juri — How To Unlock: Becomes available to buy for free for 100,000 Fight Money* in August 2016; Or unlocks as paid DLC as part of the $30 Season Pass or $6 individually. 22. Urien — How To Unlock: Becomes available to buy for free for 100,000 Fight Money* in September 2016; Or unlocks as paid DLC as part of the $30 Season Pass or $6 individually. • Finish Story Mode (including the character-specific Tutorials) on Easy difficulty with each of the 16 characters to earn 10,000 Fight Money times 16 for a one-time total bonus of 160,000 Fight Money**. – The full Story Mode experience will become available in June 2016 with potentially more Fight Money to earn. • Finish Survival Mode*** on Easy, Normal, Hard & Hell difficulty with each of the 16 characters to earn around 5,000 Fight Money times 64 for a one-time total bonus of 320,000 Fight Money**. Easy has 10 matches, Normal 30 matches, Hard 50 matches, and Hell 100 matches; This is tough as most people get annoyed or bored of Survival Mode on Hard & Hell difficulty. • Play Online Ranked Matches to receive 50 Fight Money per win**. On top of that with every level increase on each of the 16 characters you will receive 1,000 Fight Money. • Play Challenge Mode’s Targets sub-mode to complete daily renewing goals that earn you varying amounts of Fight Money**. – This mode will become available in March 2016. • Play Challenge Mode’s Trials sub-mode that puts your skills to the test with combo trials for all 16 characters, ranging from basic to pro combos that earn you varying amounts of Fight Money**. – This mode will become available in March 2016. • Play Challenge Mode’s Extra Battle sub-mode that has you fight against special CPU bosses (AKA Boss Rush) in challenges that upon completion earn you varying amounts of Fight Money**. – This mode will become available in March 2016. Here’s a short tutorial on how to earn some quick Fight Money. The Street Fighter 5 cast of 16 characters all have their own “alternate story costume”. At launch it’s only visible in Story Mode. Finish the Story Mode with each character to unlock their corresponding Story Mode costume for purchase… and starting in March 2016, when the in-game store arrives, you can buy them for 40,000 Fight Money each. Buying each alternate costume will make them available for use in all modes of the entire game (and not just Story Mode). There are 6 exclusive DLC costumes in the Season Pass. As you know, the Street Fighter 5 Season Pass includes 6 additional characters, but what’s new is that for each DLC character it also includes a “premium alternate costume” for Alex, Guile, Balrog, Ibuki, Juri, and Urien. There are 4 pre-order bonus exclusive DLC costumes for Ryu, Chun-Li, M. Bison and Cammy. These “battle costumes” will only be available if you pre-order the game through: GameStop (to get Ryu’s), Amazon (to get M. Bison’s), Best Buy (to get Cammy’s), or through the PlayStation Store and PC digital stores like Steam (to get Chun-Li’s). Note: It’s unclear if the premium costumes from the Season Pass or the battle costumes from the Pre-order Bonuses will become available to buy or unlock separately. As of right now this is the only paid DLC in the game, since the rest can be unlocked for free. Your best chance is to keep an eye on the in-game store throughout the year, it doesn’t open up shop until March 2016.